Riding is a highly complex action; two completely different beings aim to become absorbed together in the harmonious intimacy of their movements. Ideally, the horse effortlessly carries the human being, and is not restricted in its natural quality of movement but rather becomes more expressive. At least, this is my vision of horse riding. I want to enable two bodies as well as two souls to move in total unison. In contrast to any kind of groundwork, riding allows me to become a part of the movement, and I thereby become a part of the horse’s sensation. Each movement carries an emotion, each sensation is expressed in movement. Riding does not mean to be simply carried from A to B but to commit myself to the movement, and to establish a connection with the horse through movement. So, when do I use marker signals? I deliberately use marker signals and treats in different contexts while riding. In the early stages of training, and when doing groundwork they can assist in shaping processes, and they can be beneficial to improve movement patterns when using targets. Furthermore, I am convinced that a genuine rider is someone who continuously improves his or her skills. This includes sitting in a correct way as much as skillfully coordinating the riding aids, and requires a lot of practice, many, many repetitions and seat corrections. The horse does not learn anything new in such sessions, and it’s only task is to “intuitively” react to the seat adaptations. So, I casually reward it by telling the horse more or less “Nice that you are here and that you are with me”. Yet, genuine riding begins a lot later for me. 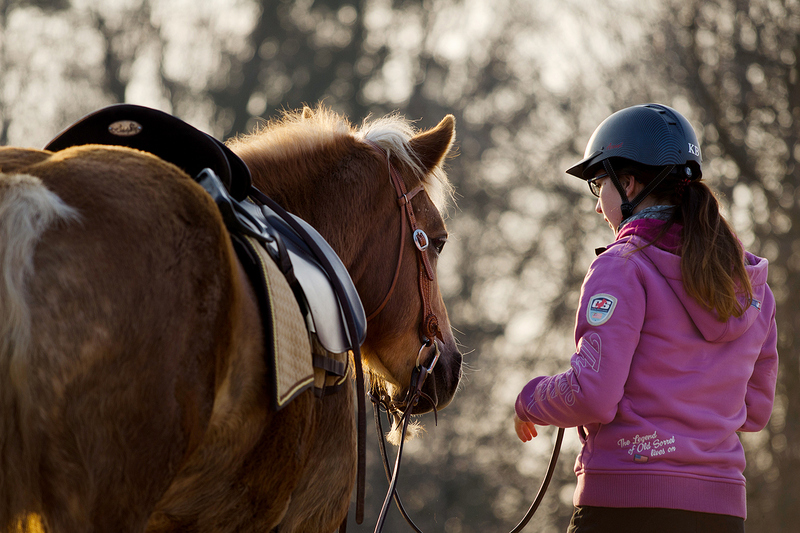 You can also use marker signals so that you and thereby your horse become aware of vibration and resonance if you want to become an attentive rider, and use positive reinforcement to benefit your development. 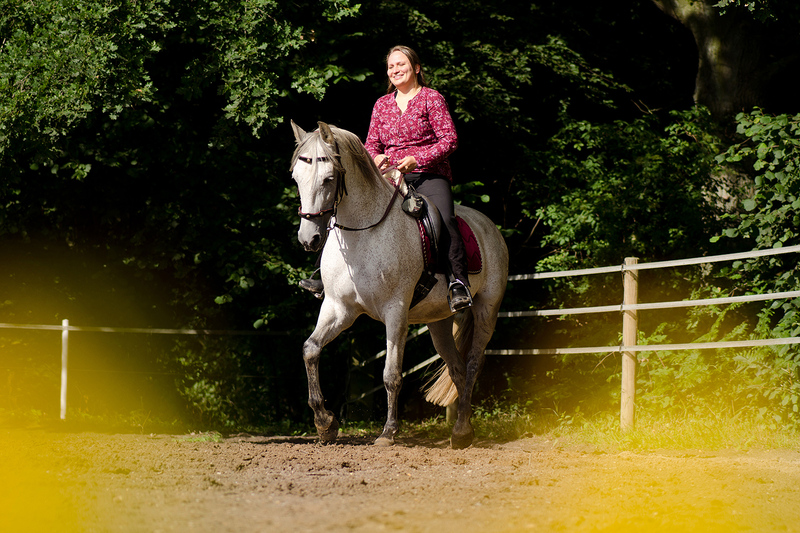 For example, a rider can influence a horse that does not trot actively enough with its hind legs by changing his or her seat. Now, when your horse is sensitive enough to sense exactly when the movement impulse of a particular hind leg passes through its body and reaches its highest possible point then this is a really good moment for you to click. During the course of this process we will resonate with our partner’s vibration, the horse will additionally be able to respond to our motion impulse, and we thereby create a vector of harmony together.